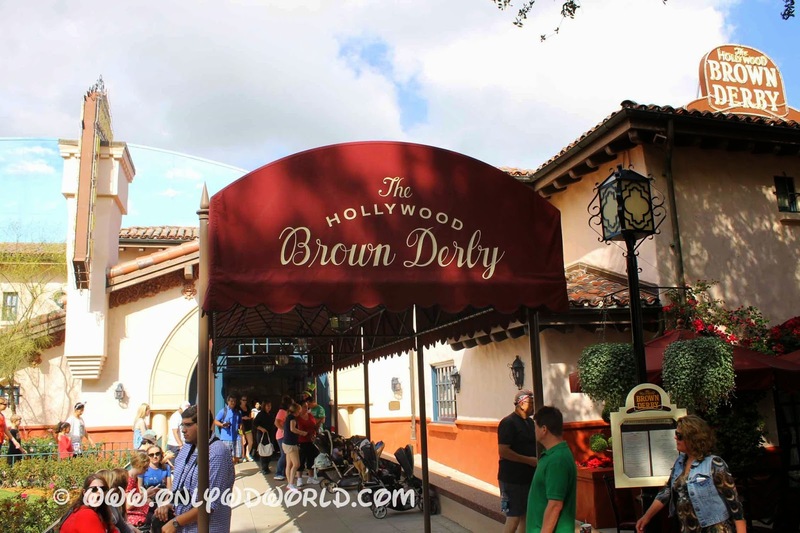 The Hollywood Brown Derby could not have found a more fitting setting than within Walt Disney World's Hollywood Studios Theme Park. 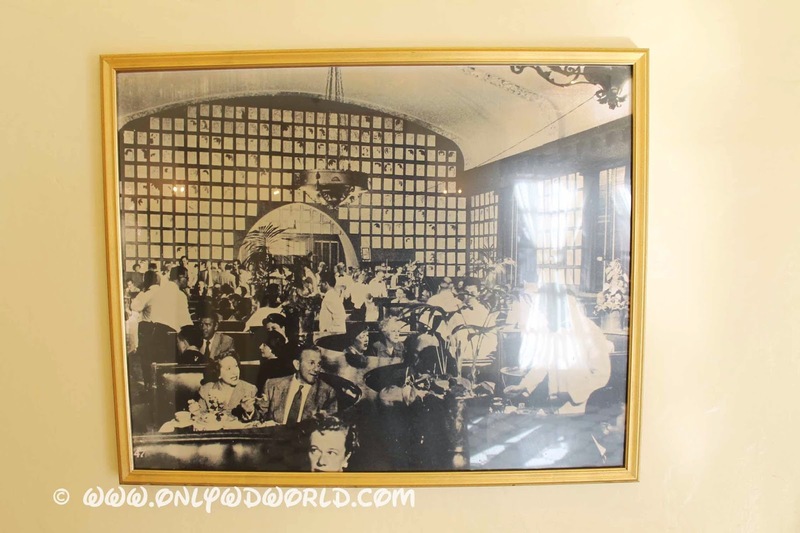 With the original Hollywood landmark now gone (closing in 1985), this Disney recreation helps evoke the golden age of Hollywood during the fine dining experience. 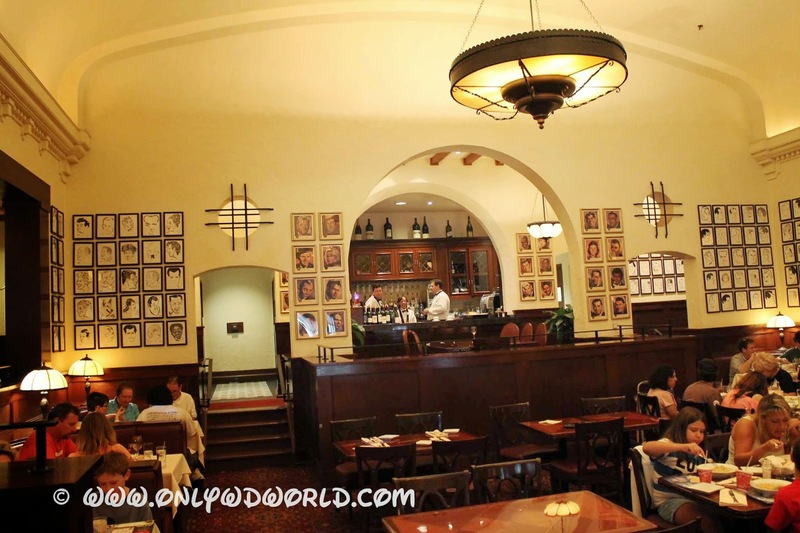 As the only Signature restaurant located within Disney's Hollywood Studios, The Hollywood Brown Derby not only provides excellent food & drink options, it also seeks to closely imitate the feel and look of the original that was located at the corner of Hollywood and Vine and frequented by the elite of Hollywood. The picture above depicts the original, which does look pretty similar to the Disney version. 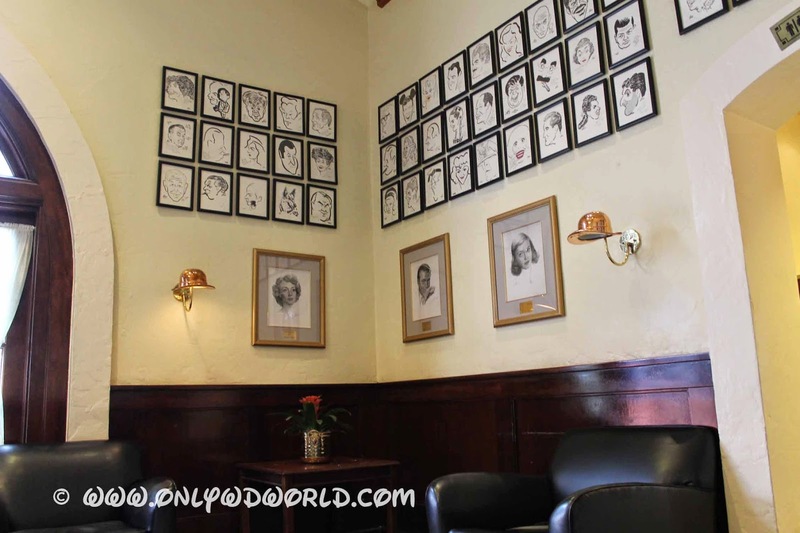 Inside the restaurant you will find the caricatures and pictures that the Brown Derby was known for. 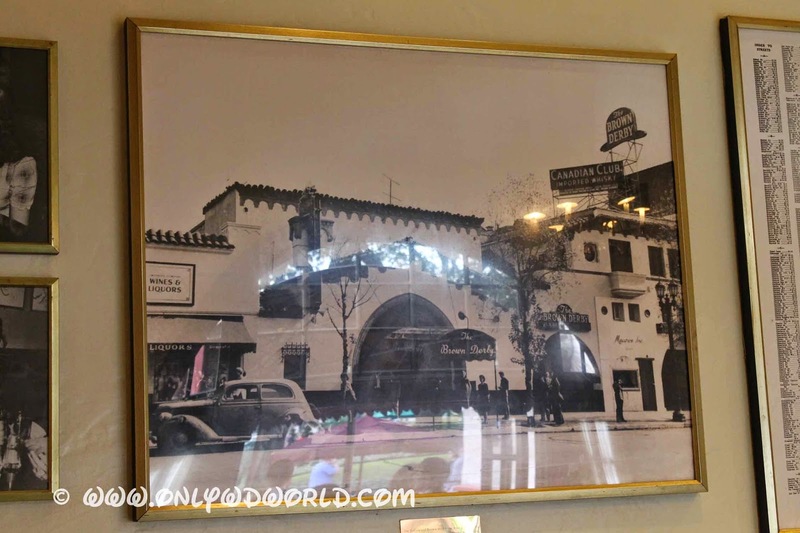 The "Great Wall Of Hollywood" as it was referred to had an impressive collection of drawings and caricatures of the leading men and ladies of Hollywood dating back to the silent era when the original opened in 1929. You quickly take note of the rich wood used throughout along with the multitude of pictures adorning the walls. There is certainly a lot to take in. There is certainly an air of elegance when you dine here. We chose lunch for our visit of this fine establishment with a goal of sampling a couple of the signature dishes that the Brown Derby is known for. 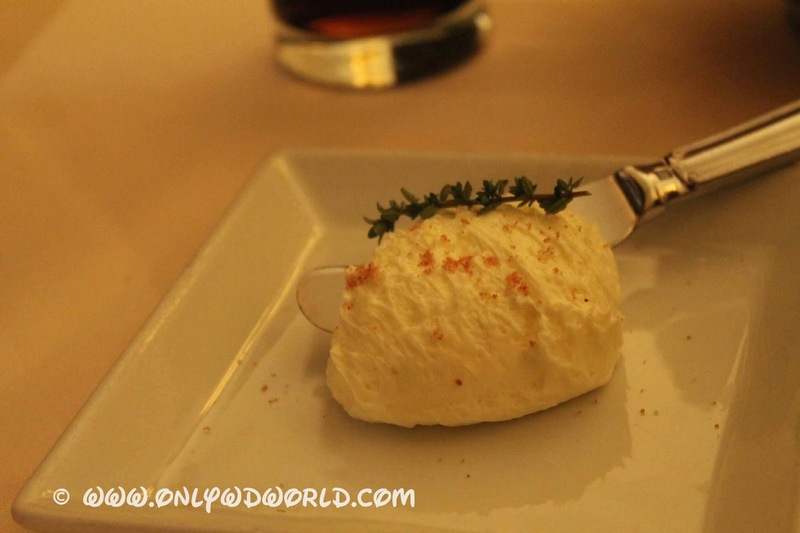 Each meal is served with fresh baked rolls and an amazing butter. 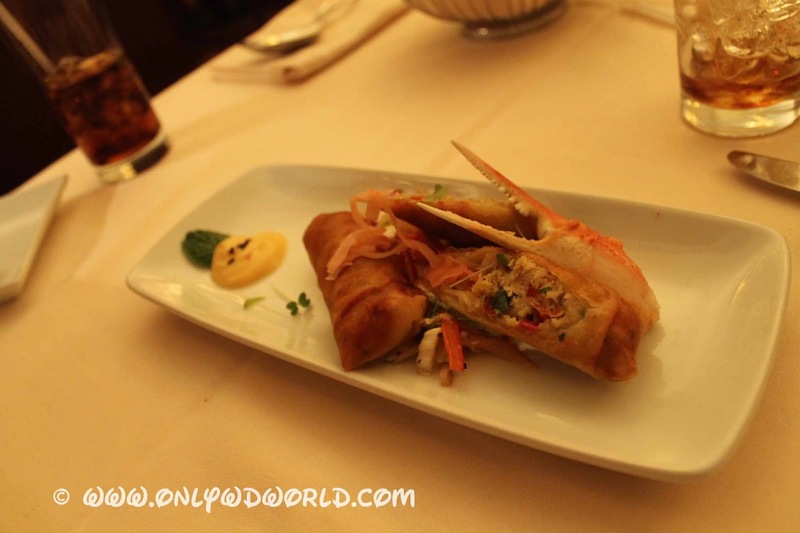 We started our meal by sharing an appetizer and we chose the Blue Lump Crab Spring Rolls. They are described as: Snow Crab Claw, and an Asian Slaw with spicy Miso Aïoli for $13. This choice was amazing. Our only regret is that we had to share. It had plenty of lump crab meat and plenty of flavor. 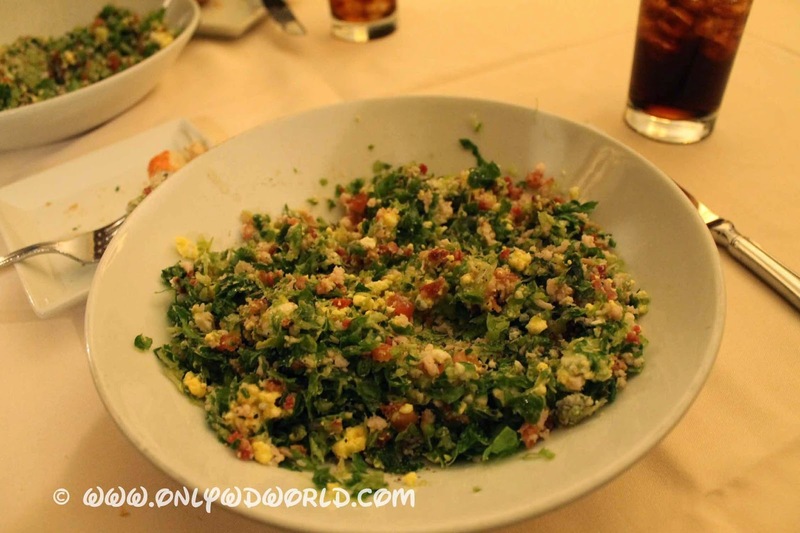 For our entrees we each chose the Famous Cobb Salad that the Hollywood Brown Derby is known for. This may not be the most adventurous item to try on the menu, but it makes a perfect lunch and it is hard to visit the Brown Derby without trying it. It is named after Robert Cobb who became President of the restaurant and created the dish in 1934. The Cobb Salads were assembled and tossed table side which added to the experience. The Cobb Salad is described in the menu as: Finely Chopped Greens, Turkey Breast, Bacon, Egg, Tomatoes, Crumbled Blue Cheese, Avocado, Chives, and Cobb Dressing. This light meal is perfect for the hot Florida days. The flavors of the chopped salad mesh well together and made for a great meal. 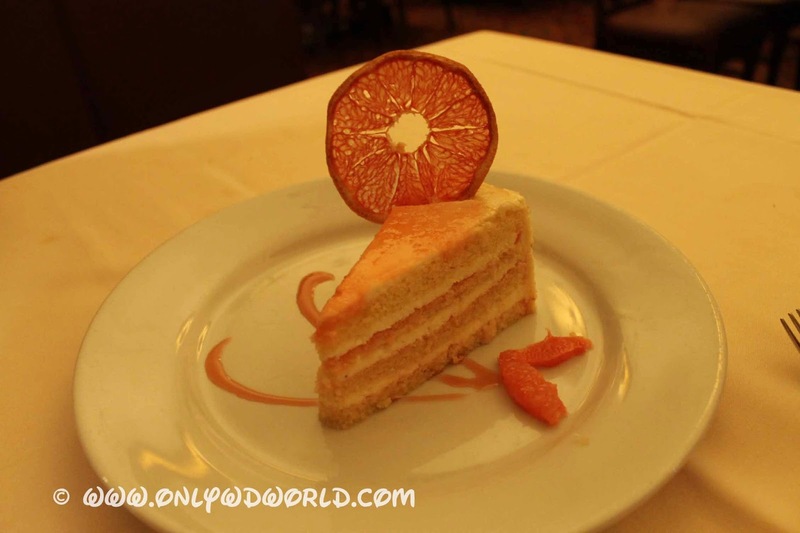 For dessert we had to try another Brown Derby famous dish: The Grapefruit Cake. This multi-layered creation of cake, cream cheese frosting and grapefruit was made when famous gossip columnist Louella Parsons complained to Robert Cobb that all of this desserts were too fattening and she wanted something healthier. Cobb told the Chef "to put grapefruit on something because everyone knows it's slimming." The result is a very tasty desert that seems to be lighter, even if it is probably a long way of being healthy for you. 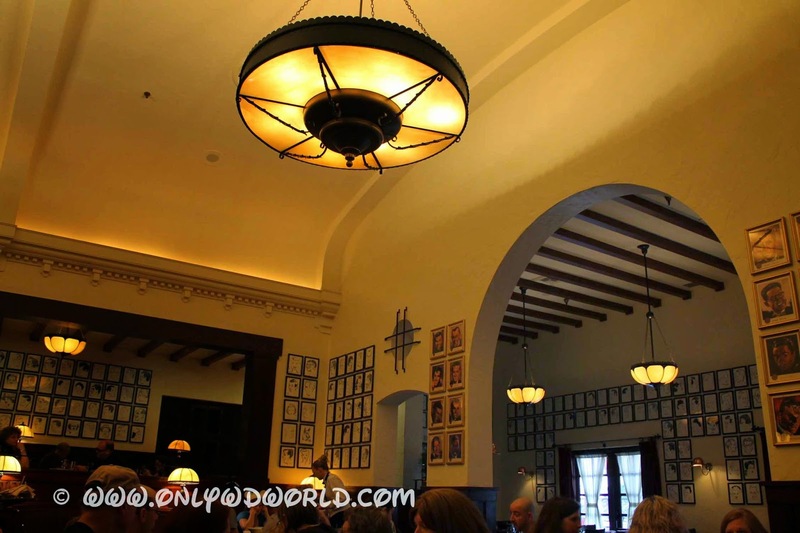 The Hollywood Brown Derby is a great place to eat, but it is very expensive. Lunch can be had very reasonably (by Disney World standards), but Dinner entrees range at $30+ apiece. 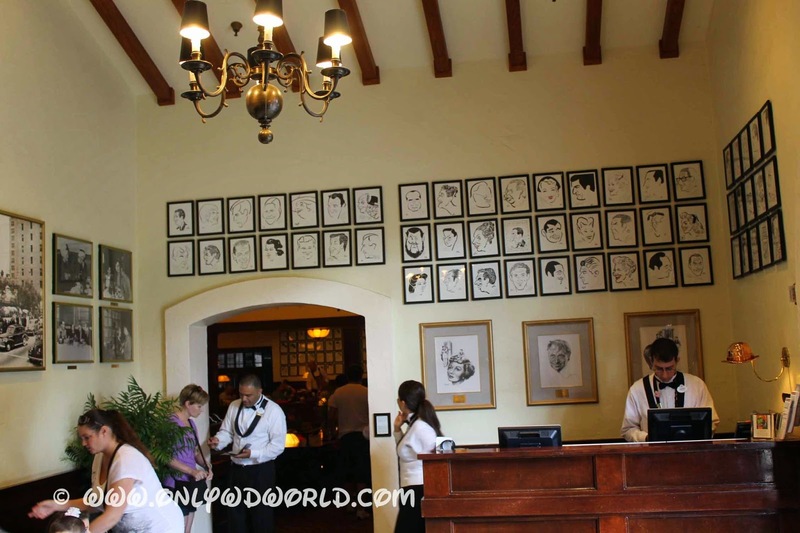 There is an excellent wine list, beers, and signature cocktails available for those who would like to make a social experience out of the meal as is intended at the Brown Derby. The food was excellent and the service that we enjoyed ranked among the best we have ever seen. 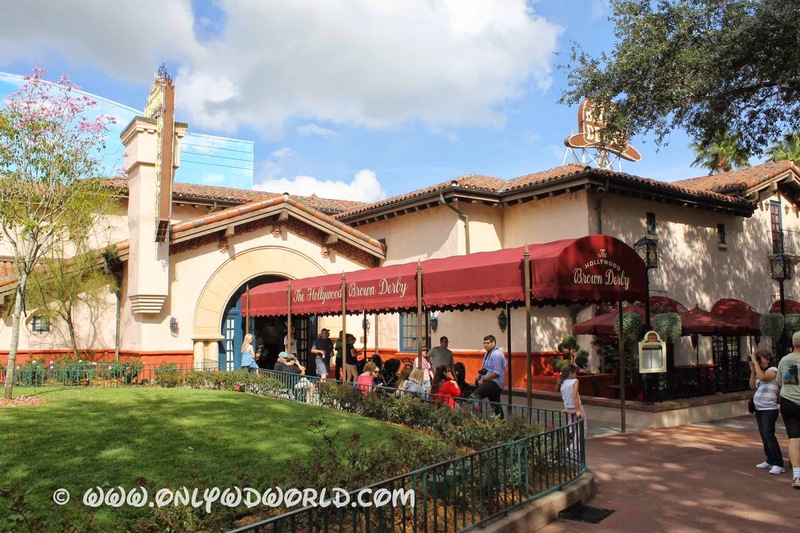 We would certainly recommend The Hollywood Brown Derby if you are looking for an upscale dining experience while at Disney's Hollywood Studios. The great foo and super service along with the authentic feel of Hollywood made this a wonderful meal. The restaurant accepts the Disney Dining Plan, but as a Signature restaurant it requires 2 Tables service credits per person. It also accepts the Tables In Wonderland Discount of 20% off the entire bill including alcoholic beverages. 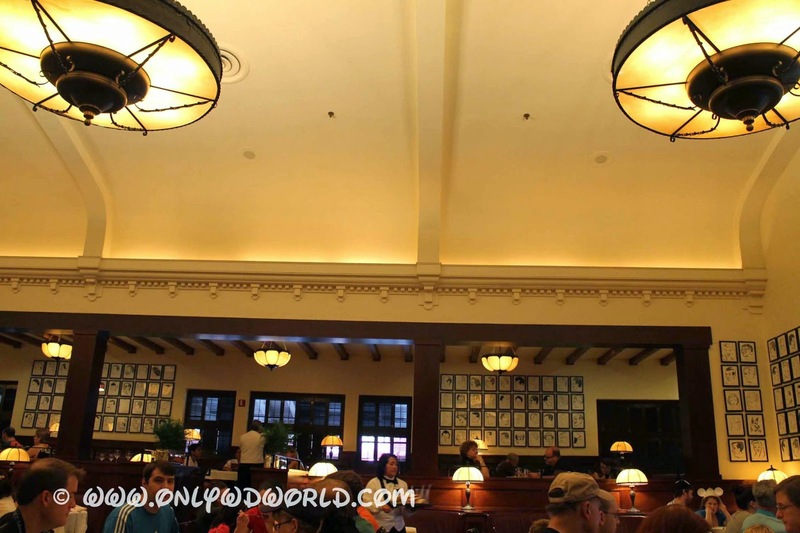 0 comments to "Review: The Hollywood Brown Derby at Disney's Hollywood Studios"